Delicious mangoes cooked with coconut milk can be served chilled after a special dinner. 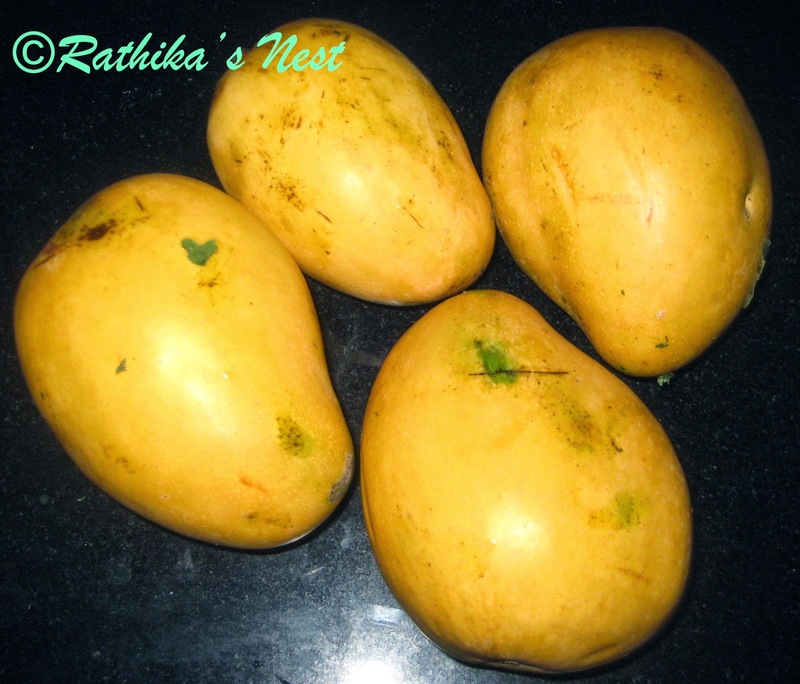 * I have used ‘banganapalli variety’ of mango (பங்கனபள்ளி மாம்பழம்). However, you may use any mango variety of your choice. * You may have to add more sugar if the mango is not fully ripe. Method: Wash, peel and cut the mango flesh into small cubes. Heat ghee in a kadai, add raisins and cashew nuts. Fry till the nuts turn light brown in color. Add mango pieces and sugar. Cook on a low flame till sugar melts. Remove from the fire as no more heating is required. Grind coconut and cardamom seeds with half a tumbler or 100ml of water into a very fine paste. Add 50ml of water to the paste, mix well and filter through a strainer in to a bowl. Squeeze the coconut residue left in the strainer with a spoon to extract coconut milk. 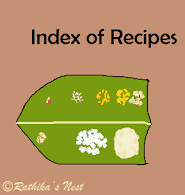 Transfer the coconut milk from the bowl to the kadai and mix the contents well. Add a pinch of cinnamon powder. Mix well and refrigerate for half an hour. Serve chilled.